It’s that time of the year us folks in the northern part of the globe. Christmas seems like a distant memory by now, it’s still dark outside as we hit the icy roads on the way to work and those cloudy days make you feel like you’re living under an eternal white fluorescent light. 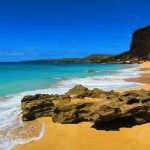 It might be a good time to start planning that winter getaway or even start thinking of your summer break. Afterall, just because it’s winter where you live, doesn’t mean that the sun isn’t shining somewhere else right now. 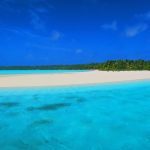 UPDATE: following a six month voyage across the remote South Pacific Islands, you might want to also discover the top 10 South Pacific beaches! 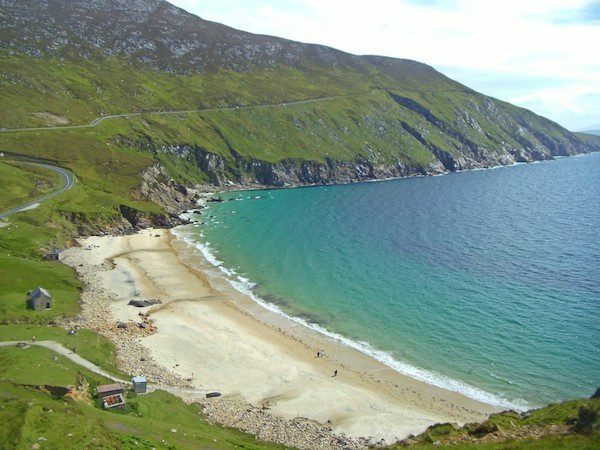 You might wonder what the hell is a beach in Ireland doing on a top 10 beach list? 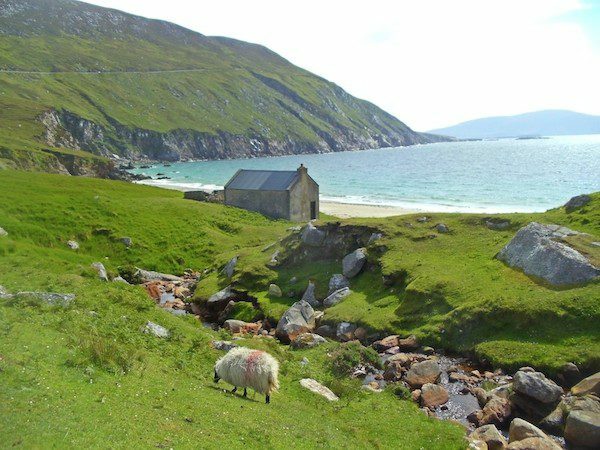 Well, if you haven’t visited this tiny island far up in Ireland’s northwest corner, put it on your wish list. 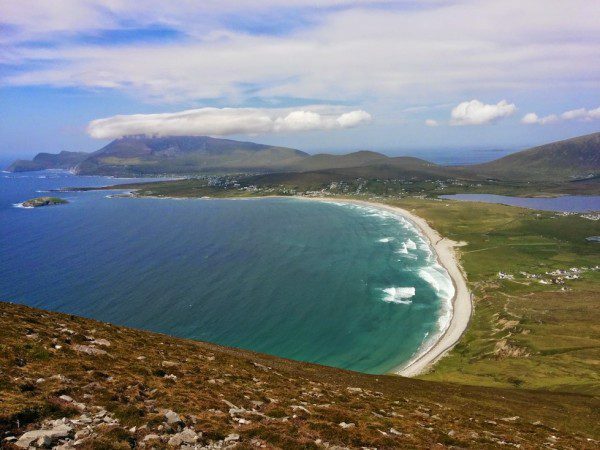 Achill Island is blessed with a number of white sand beaches. Yes, you read this right, white sand beaches in Ireland. 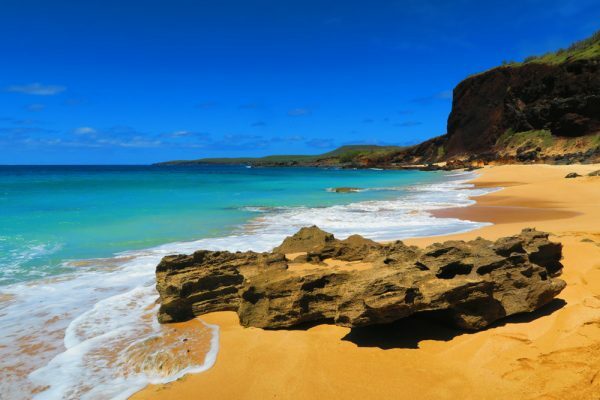 In fact the island has five Blue Flag beaches. There are two that are especially worthy of a visit. The first is Keem Bay, on the far west side of the Island. If you come here early enough in the day, you might have the beach all to yourself, along with a few sheep out for breakfast. The second is Trawmore Strand, a 3km stretch of pristine Atlantic Ocean beach. 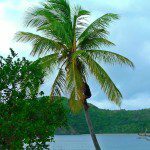 It’s best viewed from the Minuan, the highest point on the island, accessible by car. 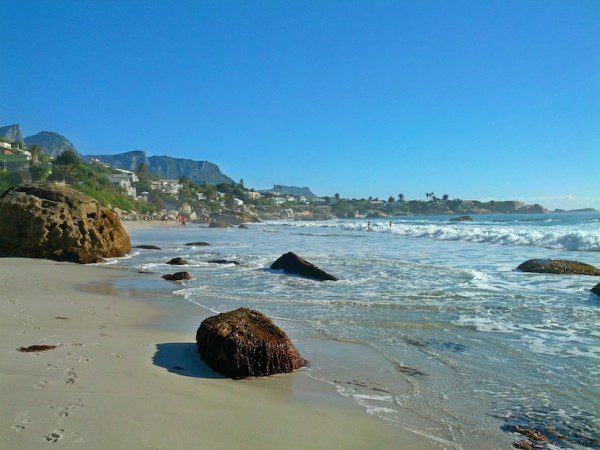 In a city blessed with so much natural beauty, it’s no surprise that Cape Town would also play host to a gorgeous beach. It’s not every day that you can find a white sand beach that feels low key, yet is just minutes away from the city center. 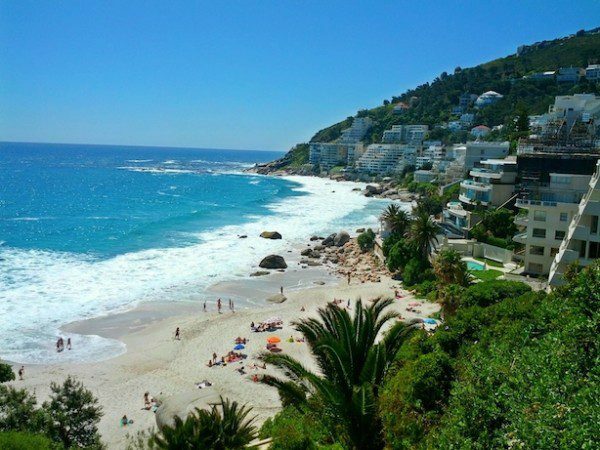 Clifton, is an affluent part of Cape Town, nestled on rocky cliffs between the Atlantic Ocean and the Table Mountain range. 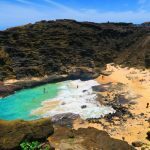 Its beaches are numbered 1-4 and no matter which one you choose, you’re bound to feel like you’re miles away from the big city (except maybe on weekends). The bravest amongst us will even attempt a dip in the frigid waters. After all, Antarctica is the next stop heading south. You can read more about visiting Cape Town and Clifton Beach here. 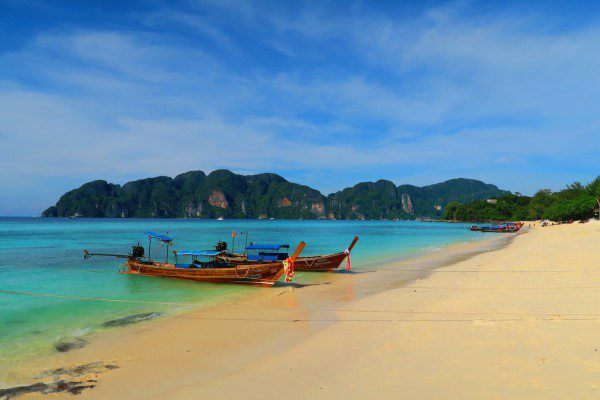 You’ll have to boat your way to this beach, known for its fine white sand made up of 98% pure silica. 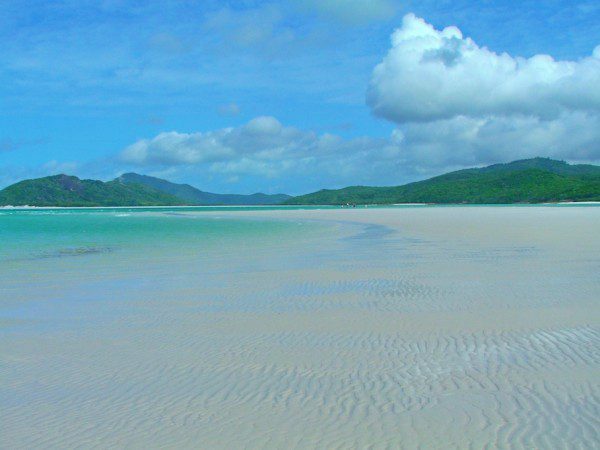 Whitehaven Beach in Australia’s Whitsunday Islands is a must for any visitor to the legendary east coast. 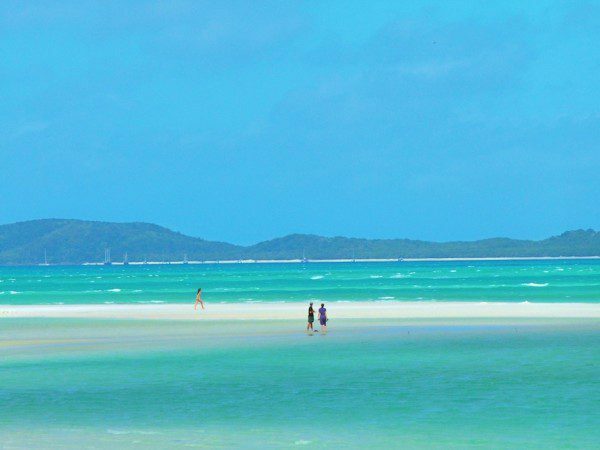 The crystal clear blue waters and the fine white sand are what make this beach top notch, even in Queensland, which is no stranger to beautiful beaches. 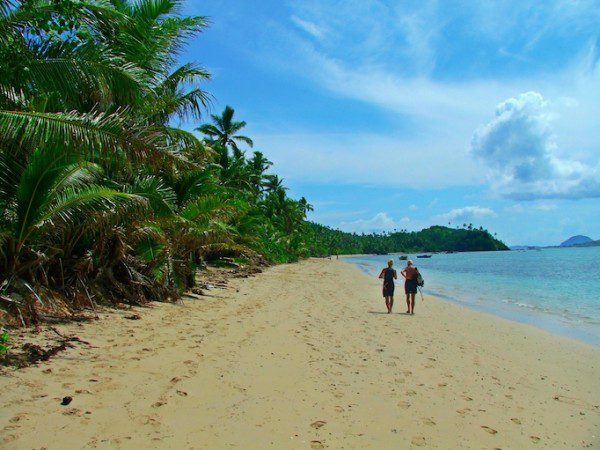 Fiji is synonymous with tropical beaches and if you’ve traveled this far, you won’t be disappointed. 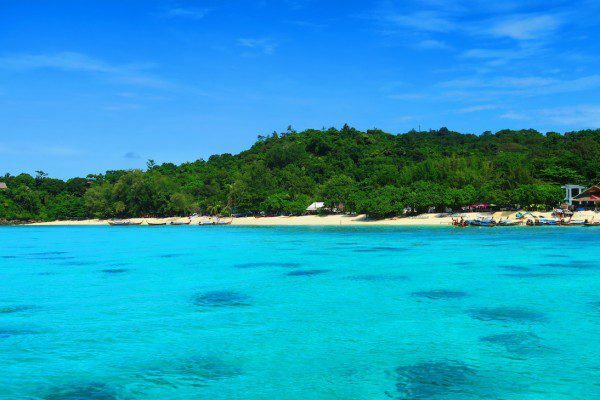 In an island nation scattered with many high end and private island resorts, the Yasawa Islands make for an affordable getaway and a backpacker’s paradise. 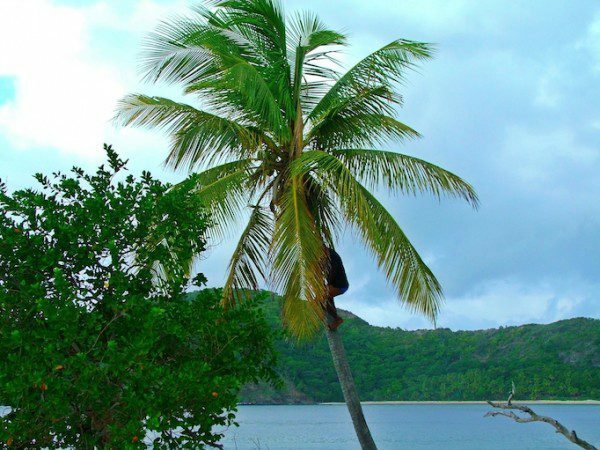 For a taste of local life, head to Waya Island where if you get tired of relaxing on the beach, you can trek your way up the mountain in search of fine views while sipping on freshly chopped sugar cane. 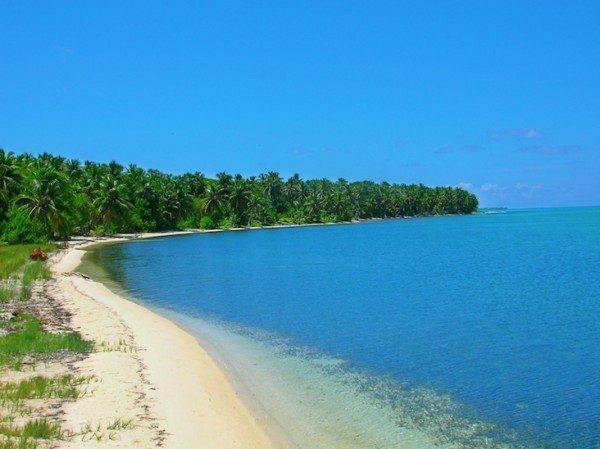 For those seeking a bit more remoteness, head to Tavewa Island in the northern part of the Yasawa Island chain. 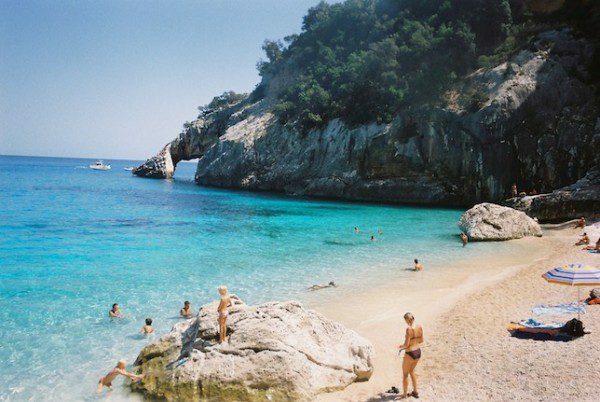 The waters are crystal clear and you might have the beach all to yourself. 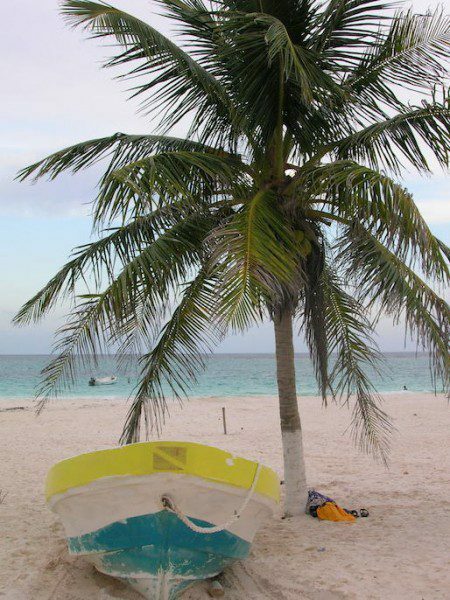 It’s only fitting that such a beautiful beach is reached only by those who make a special effort… or own a boat. 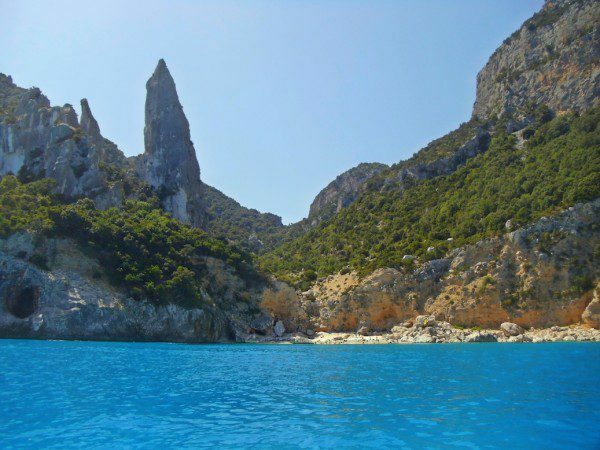 Cala Goloritze is a tiny sliver of golden sand tucked between massive limestone cliffs that pretty much make up this entire part of Sardinia. 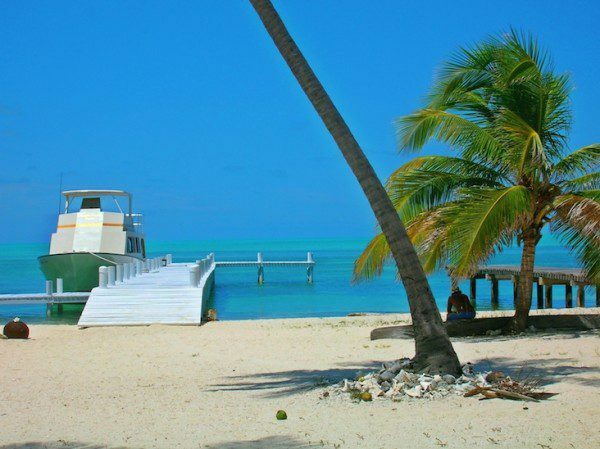 You can trek your way here by foot or charter a boat from one of the nearby marinas (not too expensive and totally worth it). If you do make it here, you’ll be treated to unbelievably clear waters with 30 meter visibility down to the white sand sea floor. Yes, these pictures were taken in Europe! I couldn’t believe so myself. This is in Spain, not somewhere in the Caribbean. Es Trenc is less than an hour’s drive from Palma de Mallorca and there are lovely small towns around to base yourself at. 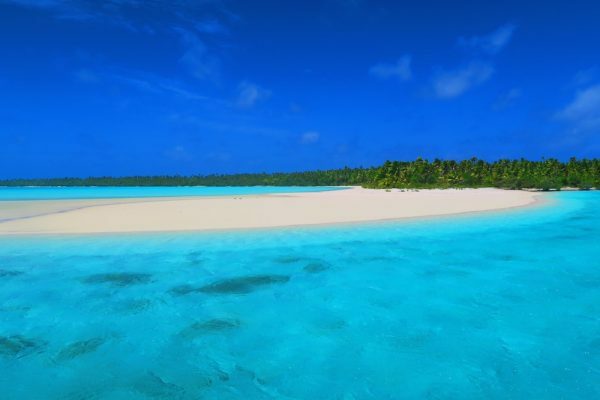 The beach is a super long stretch of fine white sand with crystal clear shallow waters. When the day gets too hot for you, just take a dip in this massive refreshing bath. 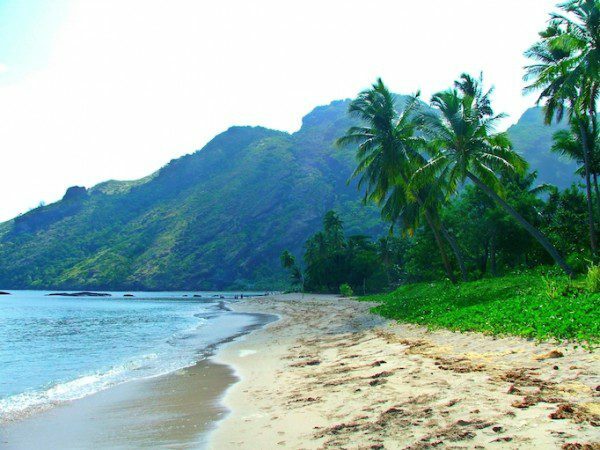 You can even leave your clothes behind if you’re in the nudist section, which is also the nicest part of this unforgettable beach. 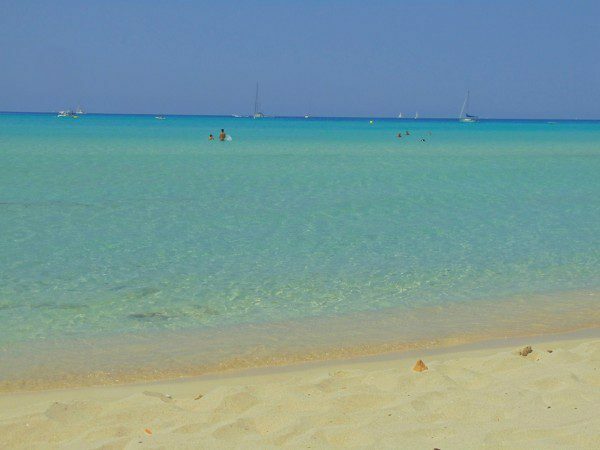 You can read more about visiting Mallorca and Es Trenc Beach here. Scuba Diving fanatics will surely know about the Blue Hole in Belize, one of the best dive sites in the world. Just over an hour by speedboat from Caye Caulker, this ain’t the easiest place to get to. 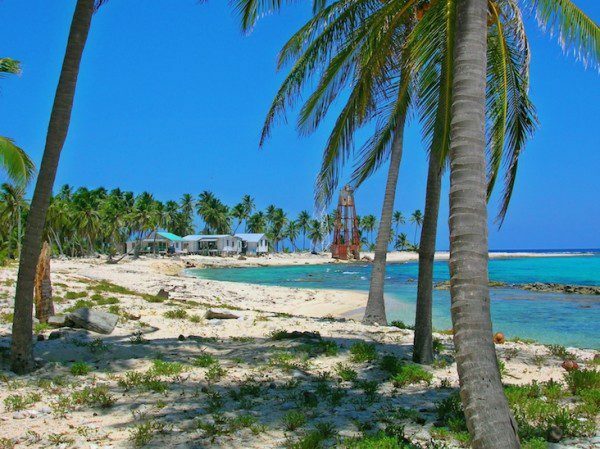 However, divers are usually treated to a stopover at nearby Half Moon Caye, a tiny island with a rotting lighthouse and 2 lucky park rangers that get to live here. Aside from the Robinson Crusoe feel to it, the island is also home to the Red Footed Boobies which call this paradise home for 10 months of the year. After you’ve calmed down from wandering around the pristine beach, you can wander your way through the palm trees to the observation deck and have a close look at this special bird. Far enough from the mayhem of Ton Sai village yet close enough to all the action, Long Beach in Ko Phi Phi is like a postcard. In fact, it’s more than that. 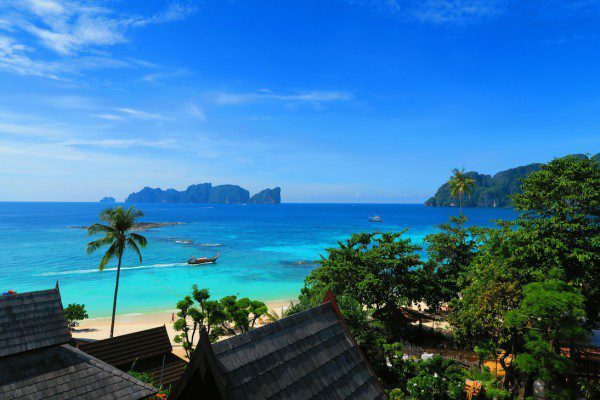 As its name suggests, beach lovers are treated to a relatively long patch of soft white sand and turquoise waters that look towards Phi Phi Leh (where the film ‘The Beach’ was filmed). The real highlight is the surprisingly rich marine life less than 10 meters off the beach. Just get in the water and you’ll immediately sea tropical fish swimming by your legs. Add to all of this the fact that Long Beach is only accessible by boat, so relative to its beauty, it’s quite low key when compared to the packed beaches in the main village. 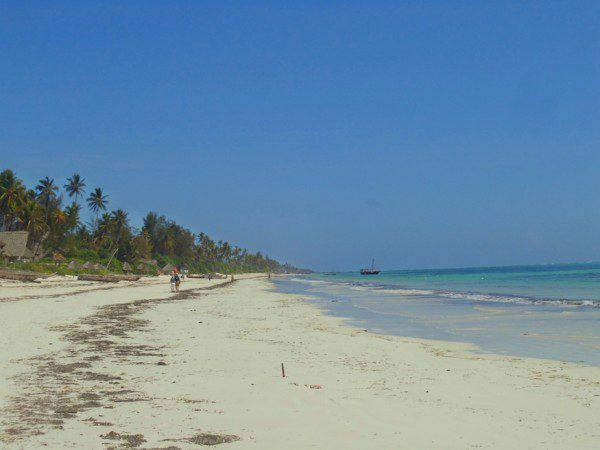 The ‘Spice Island’ has its fare share of gorgeous beaches but Matemwe beach combines tropical beauty with the remote feeling that some of us look for. 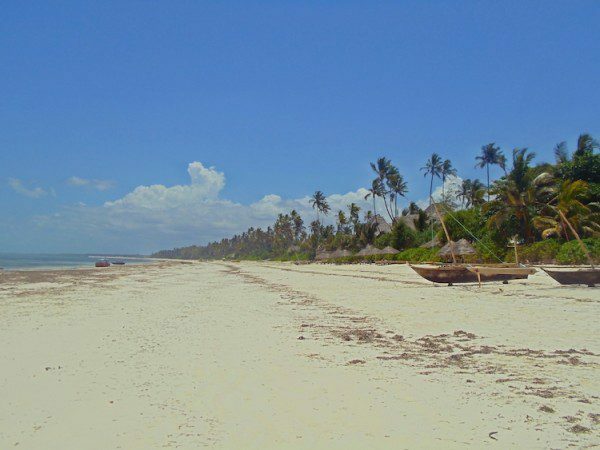 On the eastern side of the main island, Matemwe boasts a super long stretch of unspoiled beach. The sand here is the whitest I’ve ever seen and your eyes will feel the glare the moment you step onto the beach for the first time. Matemwe is very low key without the overdevelopment that other Zanzibar beaches have witnessed. The beach’s beauty does not draw to a close when the sun goes down. At night, you’ll be treated to an infinite number of stars in the sky so get those wishes ready for all those shooting stars. 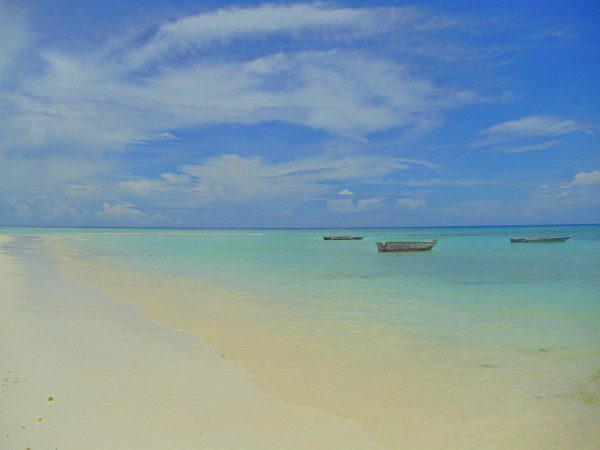 You can read more about visiting Zanzibar and Matemwe Beach here. Tulum Beach in Mexico’s Yucatan Peninsula was even recognized by the ancient Maya as place you want to spend some time at. This might be the reason why they built a massive temple on the hill nearby. 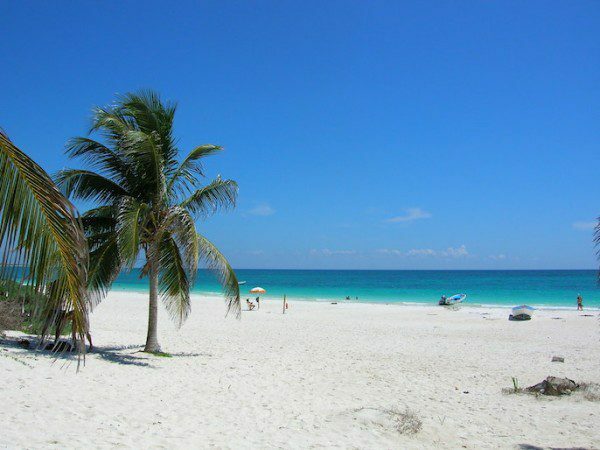 Tulum is a paradise on earth, with miles of white sand and plenty of palm trees for those who seek some shade. 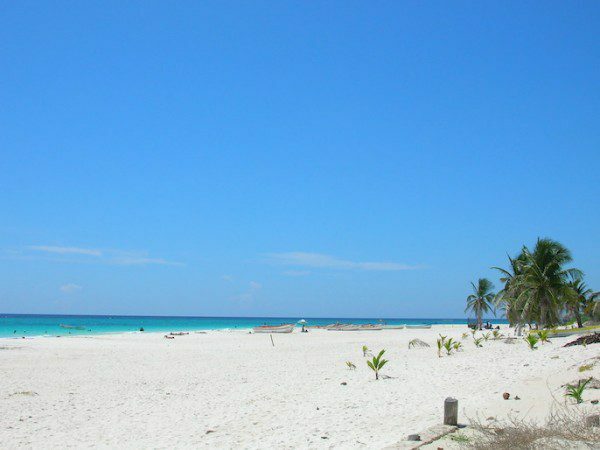 Last time I visited, Tulum Beach was still undeveloped, with no steady electricity supply and pretty simple bungalows that attracted the real beachlovers. I’m sure it has changed a bit by now but I am also sure that the name of the game still remains pure relaxation. So which ones were your favorite? 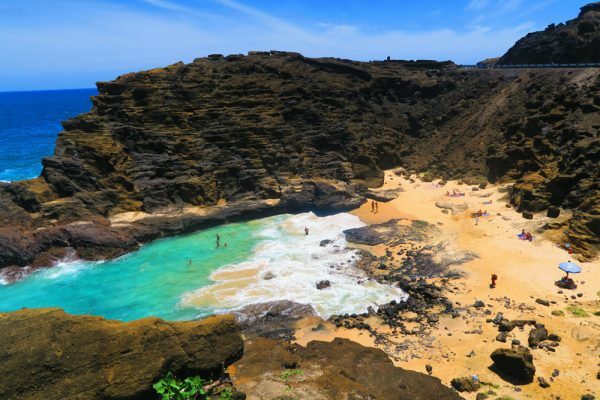 What would make your top 10 best beaches list?